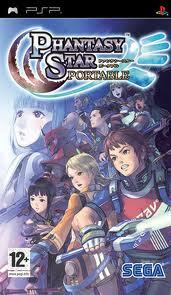 OverviewPhantasy Star Portable is the first iteration of the popular Phantasy Star series on the PSP. 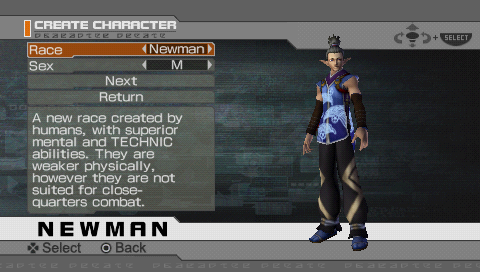 The game features a single player campaign, local ad-hoc multiplayer, DLC updates, and the ability to transfer your PC/PS2 character (JP accounts only) to this game. The US release date is March 3rd 2009. 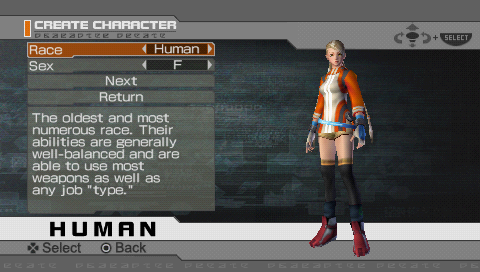 Phantasy Star Portable is a role playing game as the hero which is you became partners with another named Vivienne. There are wide range of weapons to use. For starters, I recommend to used saber for moderate attack speed and accuracy. 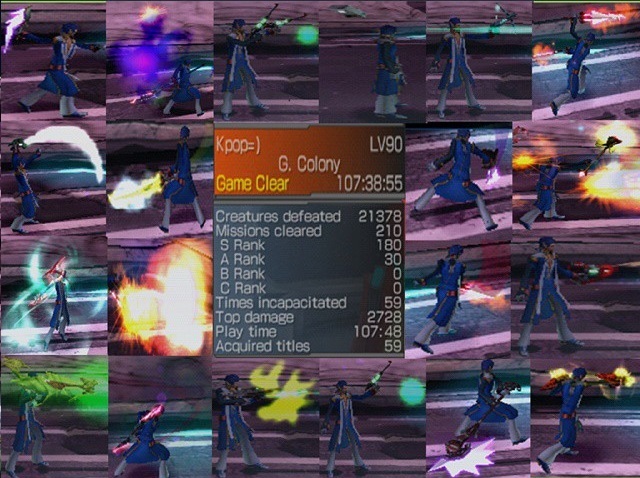 As time goes, your own style of fighting can become hybrid or better. For intermediate players, try bringing multiple weapons for different type of enemies. 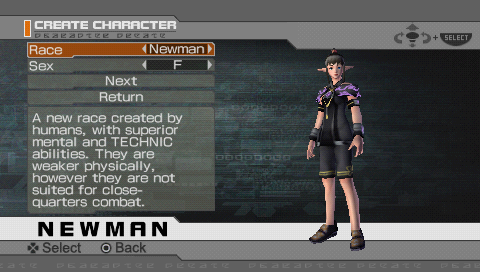 Example my char race is Newman but I am training other jobs. 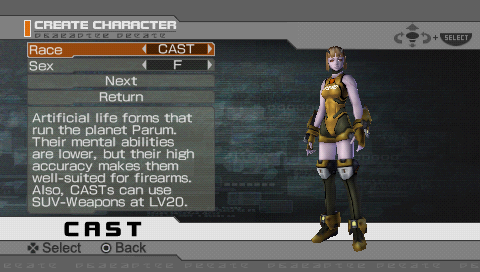 I kept a rod in my palatte in case i need to heal I swap with my main weapon to heal and swap back for offense. 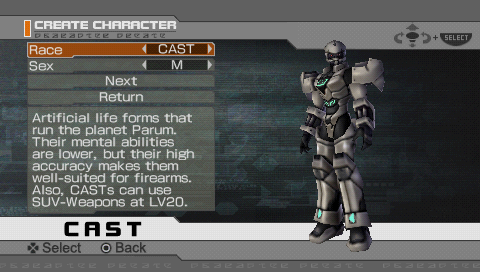 It requires some grinding and patience if you want to get some weapons that are over powered & match with your job. Now you can add videos, screenshots, or other images (cover scans, disc scans, etc.) 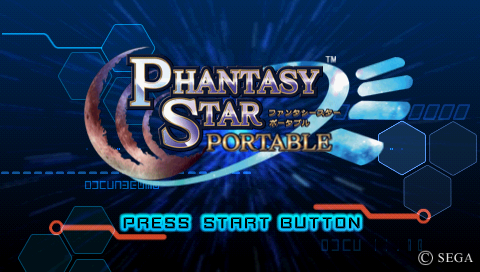 for Phantasy Star Portable (USA) to Emuparadise. Do it now!